This is pretty much the Gan Air with magnets. There have been some changes to the pieces to remove more weight but the performances is the same. I still do get some odd catches on this cube but it usually can cut through. 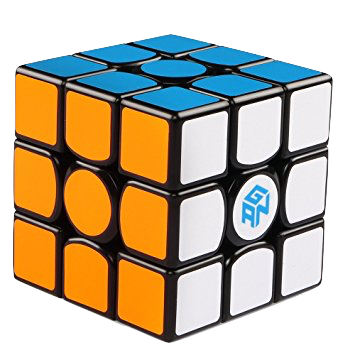 The Gan Air Um is a very amazing cube. Though it is magnetized, when turning layers in quick succession, it feels like the magnets aren't even there. The m slices are very smooth, and it doesn't feel like you're fighting against two layers of magnets. This super smooth awesome 3x3 is worth the price. Right out of the box it was super smooth. Don't drop it though because the caps will not come off so you can't fix it!